If your a reader, having all of your library handy so your not watching the pot boil is nice. Apple has gotten a lot of press about iBooks which offers a very nice ‘realistic paper’ effect, we have yet to see what the title options will be. If your a Kindle eBook owner, don’t forget that there is a free Kindle for iPhone app so you don’t have to rebuy what you already own from Amazon. Those Kindle versions wont open in iBooks so you will end up with two readers and two libraries. Taking a look at the fridge, you have most likely three items there. The family calendar, the latest artistic creations and emergency information. To get rid of the note paper of what to say to the doctor or emergency responder, there is apps like iEmergency ICE Family PRO. 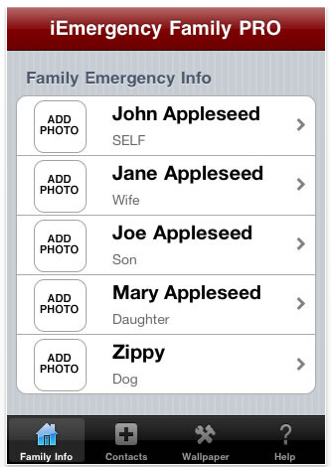 This option carries the feature of letting you add pictures of the family members to their critical health related information. Allowing anyone (like a babysitter) can jump in and look up the info if your not standing there to assist. There are many health emergencies that you may need to react to… I’m sure it’s not your cooking… for people visiting your home. 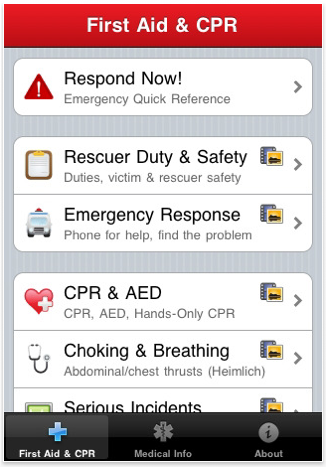 American Hearth Association’s Pocket First Aid is a well known name moving their print books over to a iPhone/iPad app. You may know it as the app the gent in Haiti used to survive when trapped in the rubble. The app provide text and video information to help in emergency situations as well the ability to store family member critical information. In our house, we also have the Pet First Aid app handy… features and screens are similar to the above. OK… enough seriousness! Onto the art on the fridge. If you have a scanner handy, you can scan in any art brought home from school and put into the iPad’s Photo’s app.. By creating groups of images, you can choose which one you want to flip by on the screen as a slide show. The iPad never has to be sitting turned off, it can remover the need for an additional digital picture frame. There are many many apps just for kids that can keep them having fun for hours. They can doodle and draw right on the screen with their fingers. Creating unique art that you can save and show in the slide show of art… saving a tree and avoiding the worry of a crayon slipping off the page and onto your table cloth. Why draw on a wall when the family has a iPad?! The below image is from Finger Paint, which has large buttons and easy to learn controls so a child can get started quickly. 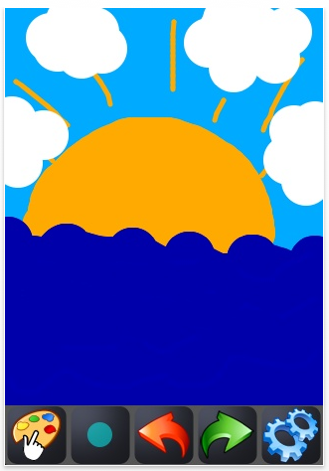 There are also kids instruction apps for how to draw with more detail. Apps for the iPad are inexpensive enough that you can update as your child’s skills grow. The iPad doesn’t have to turn into a babysitter, it can be fun to share the time and create together.